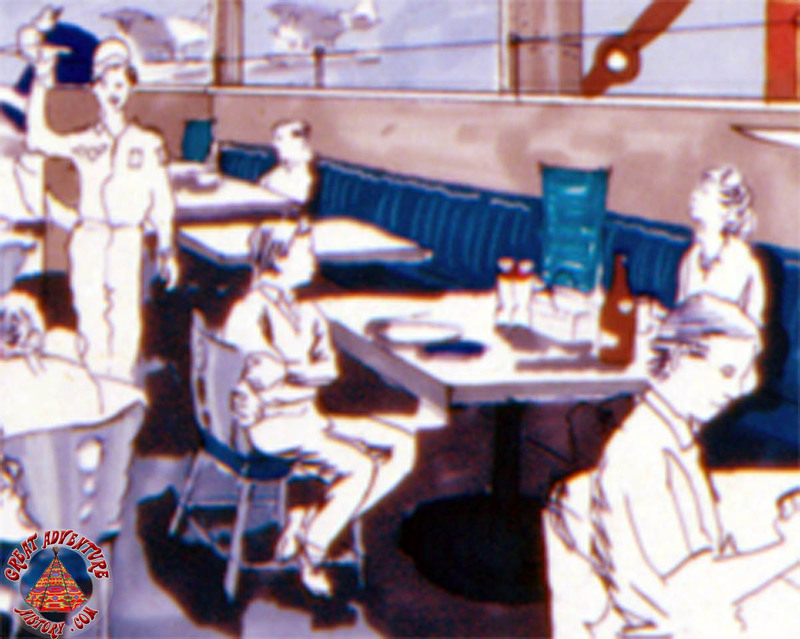 Themed dining is commonly found alongside attractions at theme parks, with restaurants often featuring decor or even food options that reflect the story being told in an attraction further enhancing the core theme. 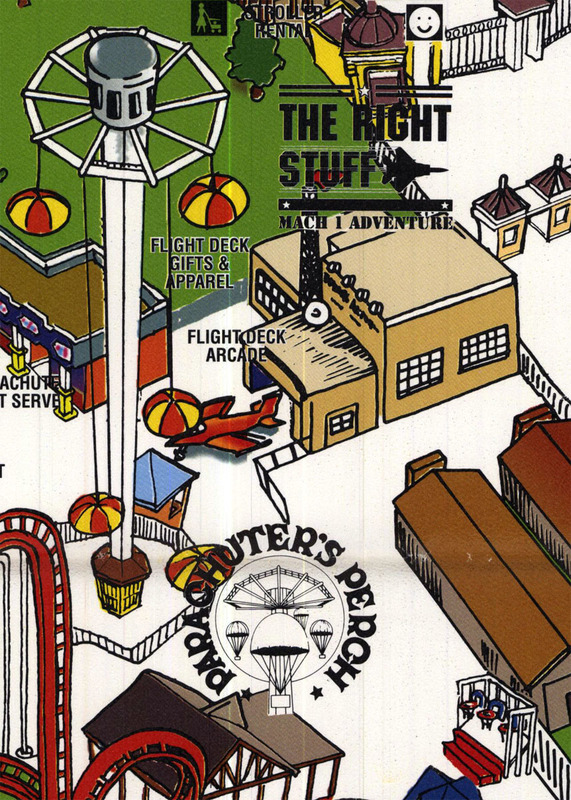 With the acquisition of Six Flags Theme Parks by Time Warner in 1992, a great effort was made to bring the "theme" back to the chain as well as to cross promote the intellectual properties of the Time Warner company. 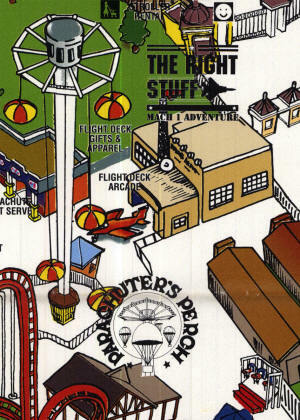 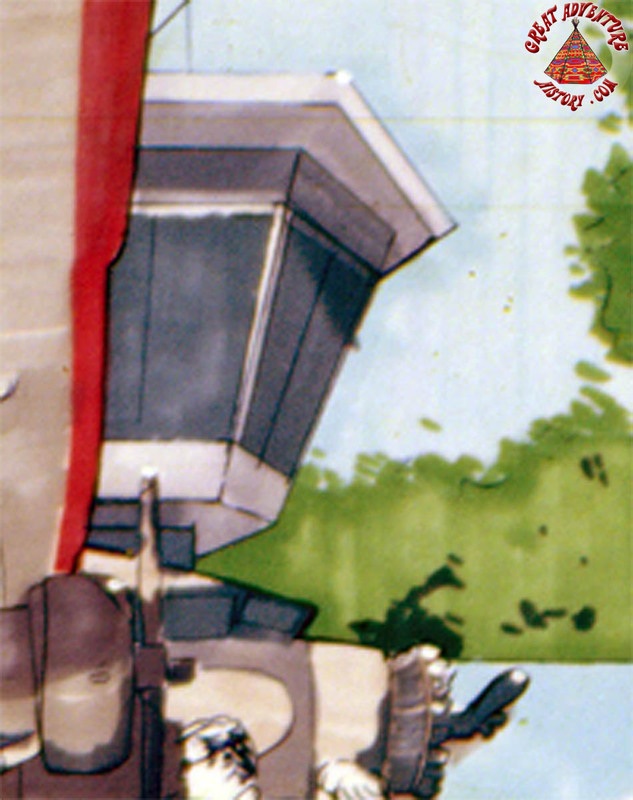 A part of the retheme at Six Flags Great Adventure was the 1994 conversion of the area at the top of the Games Square into an Air Force Base theme with the centerpiece being a new attraction, The Right Stuff Mach 1 Adventure, based on the Warner Brothers' film. 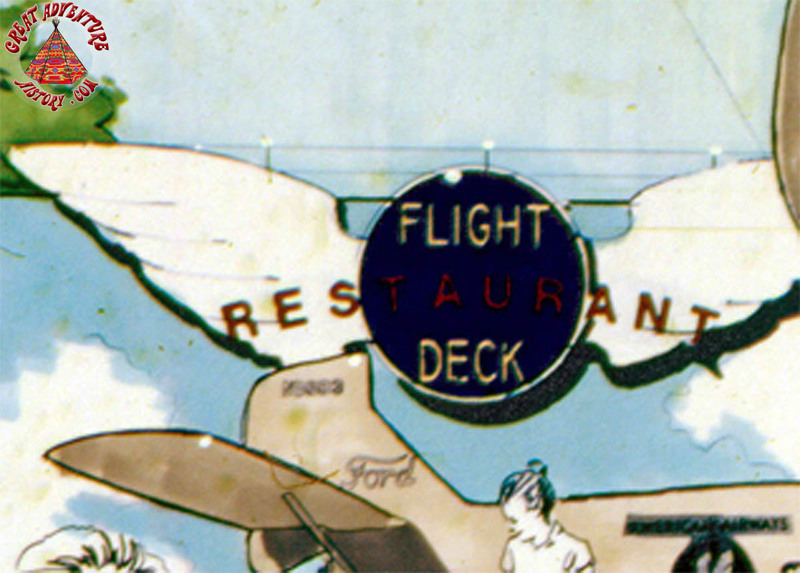 A part of the plan for The Right Stuff Mach 1 Adventure complex that never came to fruition was going to be an adjoining table service eatery called the Flight Deck Restaurant. 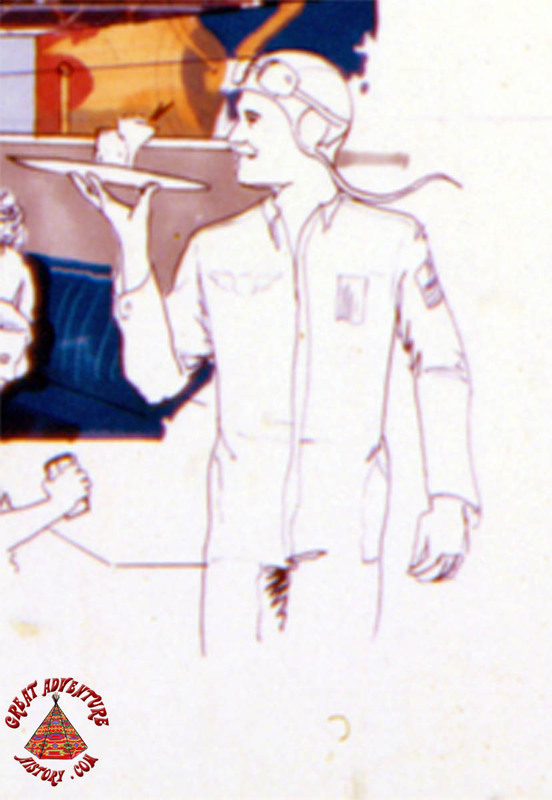 It appears from the renderings that the restaurant would have featured a simple box like structure painted in sky blue accented with clouds. 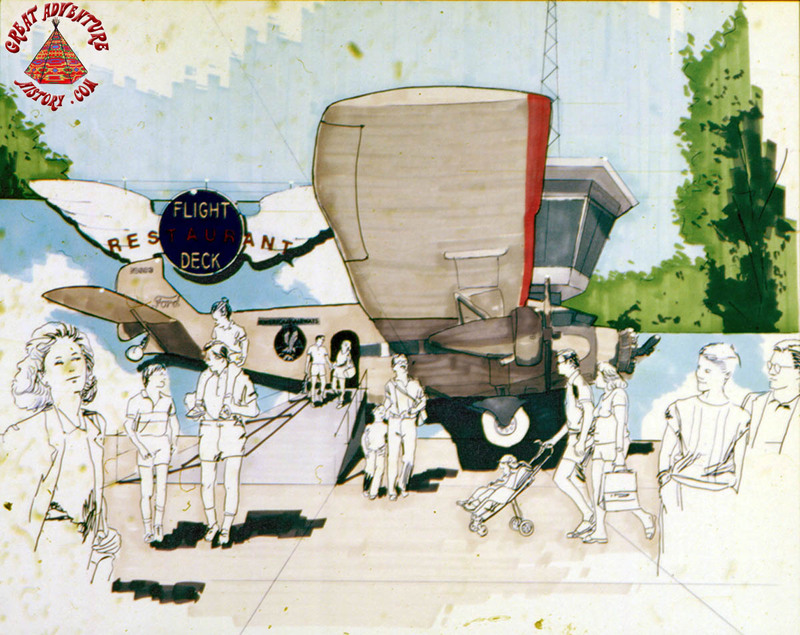 On the side of the building would have been the fuselage of a plane with the cargo door open and a gangway ramp going up to it which would have served as the entrance to the restaurant itself. 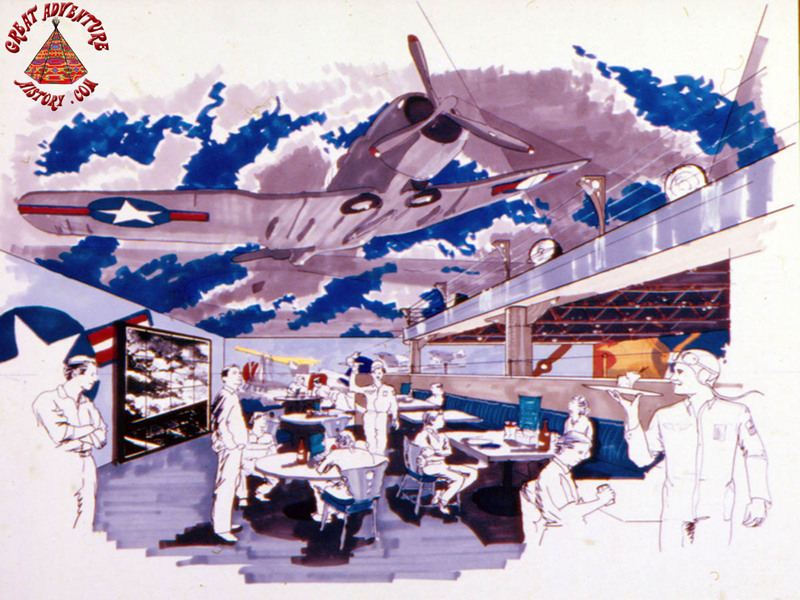 The interior was to feature a brilliant cloud-filled sky above with an aircraft motif throughout and a plane suspended above the dining area. 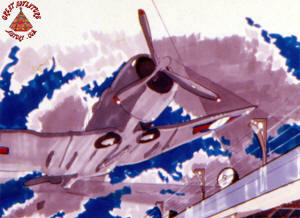 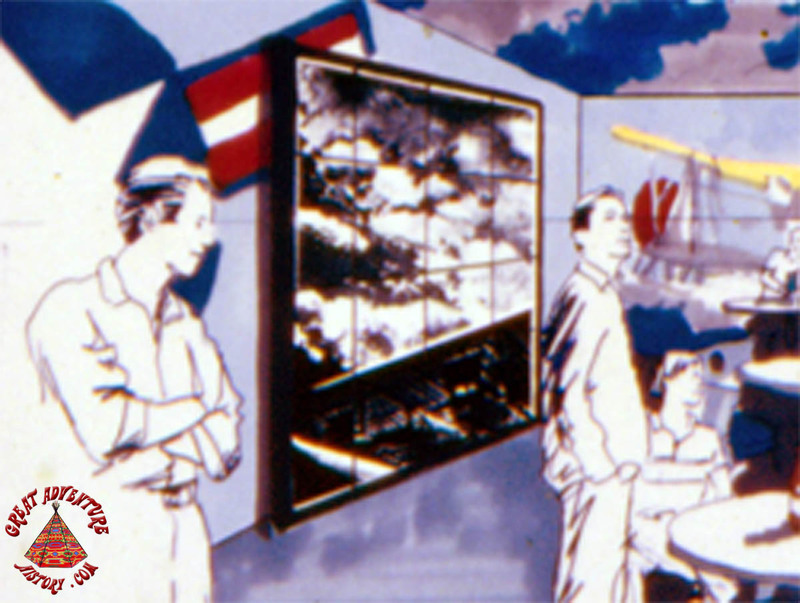 Large-scale monitors would have broadcasted planes performing mid-air maneuvers and aeronautic props like propellers and airport searchlights extended the theme. Cast members would play the role of flight crew members at this sit-down restaurant, sporting aviator outfits complete with jumpsuits and goggles. 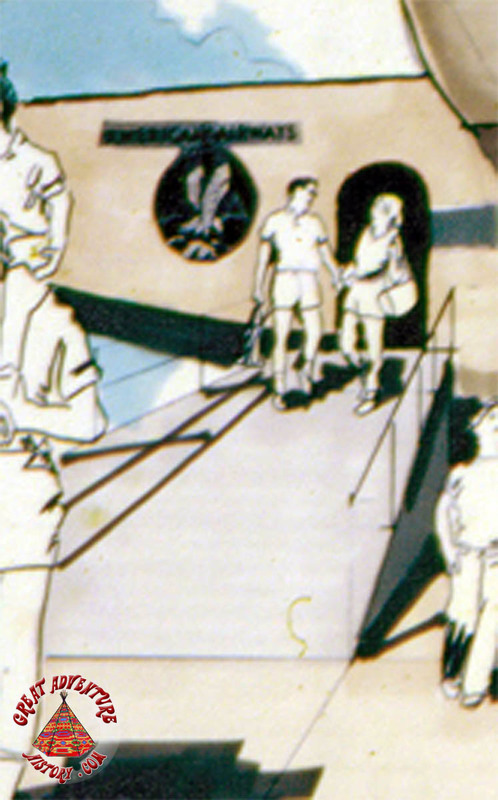 The Flight Deck Restaurant never made it off the drawing boards, but would have been a unique addition to the park.